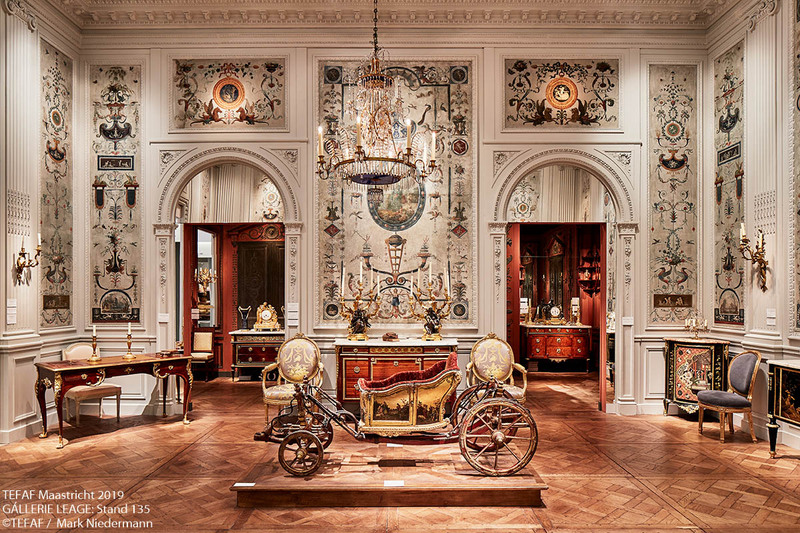 TEFAF Maastricht has long distinguished itself as the unrivalled destination art Fair. 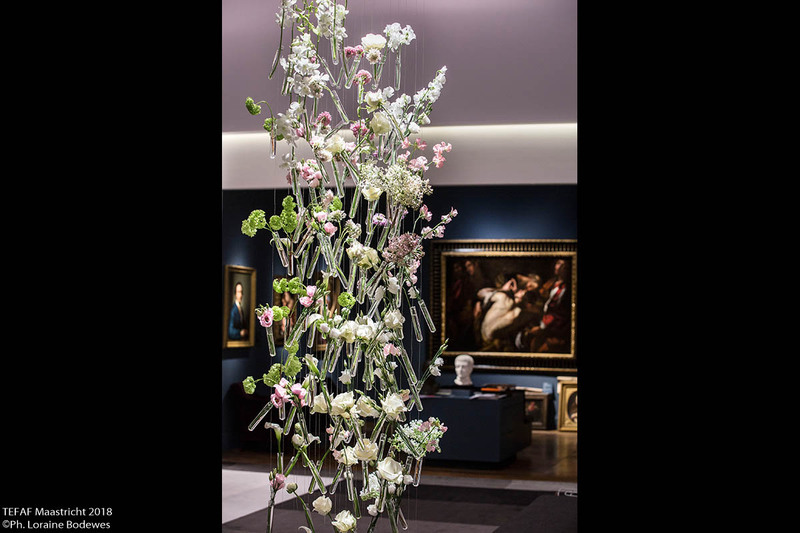 This year TEFAF implemented a new, more transparent selection procedure, which has resulted in a number of new dealers being invited to take part in the Fair. 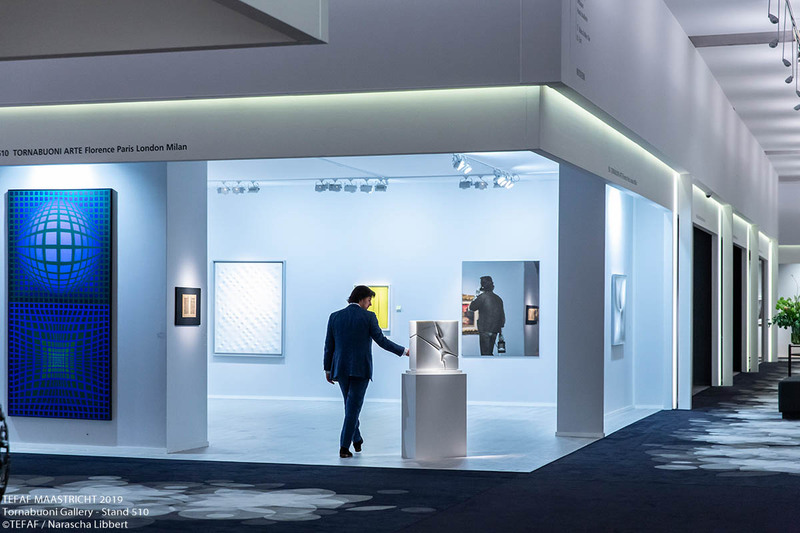 Of the 279 exhibitors taking part in TEFAF Maastricht 2019, 40 are new to the Fair. The impact of this, development is a revitalised Fair that remains an unparalleled attraction for private collectors, museum curators, patrons, art market professionals and art lovers from all over the world. 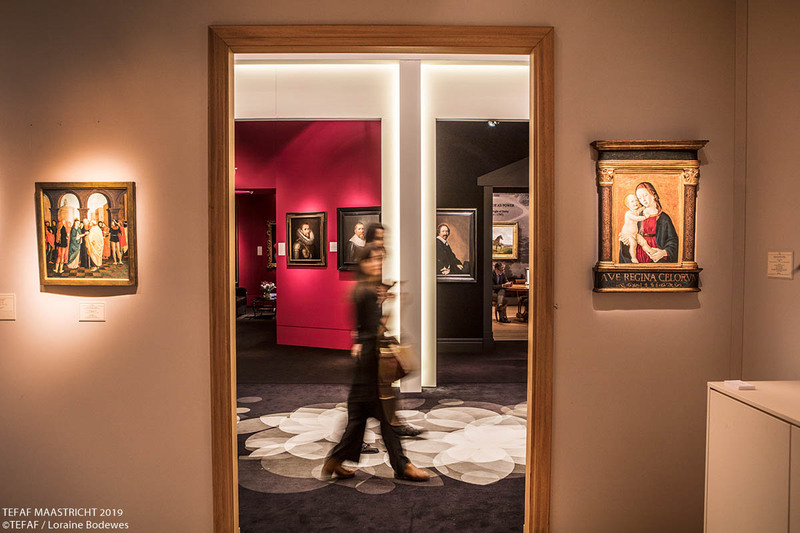 TEFAF Maastricht 2019 takes place at the MECC (Maastricht Exhibition & Confrence Centre) from 16 – 24 March 2019. Out of all sections of the Fair, TEFAF Modern sees the greatest number of new exhibitors, with 13 new exhibitors participating, a number of whom plan to present single-artist stands. Parisian dealers kamel mennour (Stand 527), for example, focuses on the work of Ugo Rondinone (b. 1963) and the stand is a curated display on the use of stone in contemporary art. Highlights from the stand include The Cordial (2017), and The Faithful (2019), both crafted from blue stone and stainless steel. 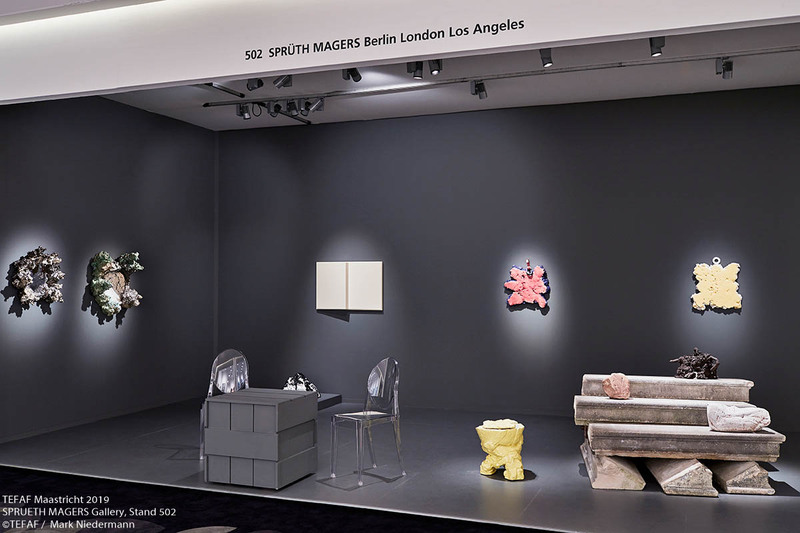 Alongside this, Sprüth Magers (Stand 502) highlights the work of German Conceptual artist Rosemarie Trockel (b.1952). Trockel came to prominence in the heyday of 1980s Cologne, and has worked in a variety of materials, including wool, bronze and found objects. The display at TEFAF Maastricht shines a spotlight on her ceramic works, many of which are her most recent pieces. 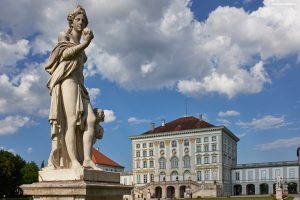 For Rastorfer, at a time when prices in the modern and contemporary market are at an all time high, the need for connoisseurship becomes even more important. The core theme of their stand is the 20th-century dialogue with abstraction, demonstrating the impact of early figurative works moving into abstraction in the early 20th century. A highlight of the stand will be the pencil, Indian ink, watercolour, decal and collage on paper work Métamorphose, 1936, by Joan Miró (1893 – 1983). TEFAF Paintings provides a rich section for visitors to explore enticing works of art, from Old Masters to early Modern. Richard Green (Stand 302) is celebrating the father and son dynasty of Camille and Lucien Pissarro in a dedicated exhibition on their stand. Highlighting the familial connections with France and Britain, as well as the Impressionist and Post-Impressionist movements, the exhibition reflects the undeniable influence of these two heavy-weight painters. Works include Apples on a tablecloth against a lace-curtained window (1885) by Lucien Pissarro (1863 – 1944) and Dans le pre en automne a Eragny (1901) by Camille Pissarro (1830 – 1903). Robilant + Voena (Stand 380) is bringing an important, Italian re-attribution to TEFAF Maastricht. The exquisite Still Life of Fruit with Three Figures of Children (Allegory of Autumn) was listed as ‘17th century Italian school’ when acquired by the gallery, who have now re-attributed it to Bartolomeo Cavarozzi (1587 – 1625). The work will be offered in the region of €1 million. For the first time at TEFAF Maastricht, an exhibitor is incorporating virtual reality into their stand presentation. 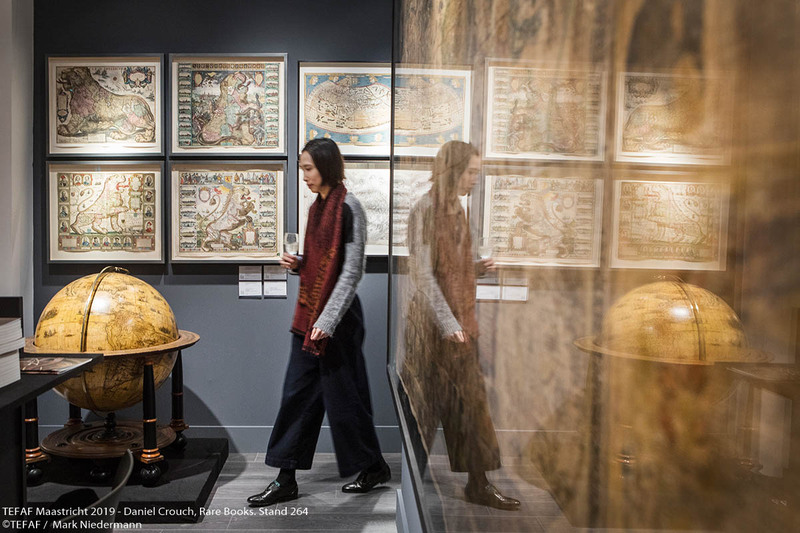 Daniel Crouch Rare Books (Stand 264), in TEFAF Antiques, is planning to offer visitors to the Fair a chance to get inside his maps through Oculus Rift. The gallery will bring half a dozen headsets and offer tours of the first printed map of Amsterdam, a 1544 woodcut by Cornelis Anthonisz (1499 – c.1557), in addition to Michel-Etienne Turgot’s (1690 – 1751) monumental 1739 wall map of Paris. Originals of both maps will also be available for sale. Each virtual reality session will last 3 minutes and will include information about the maps as well as an immersive fly-through. Koopman Rare Art (Stand 156) is exhibiting, what their director Lewis Smith describes as “The most spectacular example of Regency silver of all time”. The work itself is a highly important, Royal George IV, silver-gilt masterpiece – The Shield of Achilles. Made by one of the most pre-eminent English silversmth’s, Philip Rundell (1746 – 1827), the circular shield is cast in silvergilt and chased after a design by John Flaxman (1755 – 1826). 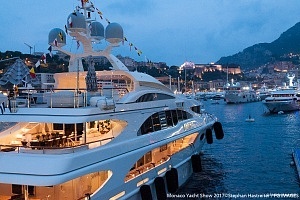 The piece has a asking Price in the region of £5 million. New York based Siegelson (Stand 146), one of two new jewellery dealers to TEFAF Antiques, is bringing a striking diamond and black lacquer ‘bande’ ring by Suzanne Belperron (1900 – 1983), one of the most talented and distinctive jewellery designers of the 20th century. Belperron stepped away from the ideals of classical jewellery design and developed a signature style that placed emphasis in bold, curvaceous forms. TEFAF La Haute Joaillerie, which can be found within TEFAF Antiques, welcomes a new exhibitor to the section – Cindy Chao (Stand 139). This section provides visitors with an highly curated selection of the world’s finest jewellers and jewellery dealers. Cindy Chao is presenting an exceptional ‘Greenovia Brooch’, crafted from titanium, 18k White gold and silver, set with a 105-carat Chrysoberyl Cat’s eye, diamonds and nearly 2,500 pieces of 6 varieties of Green gemstones. 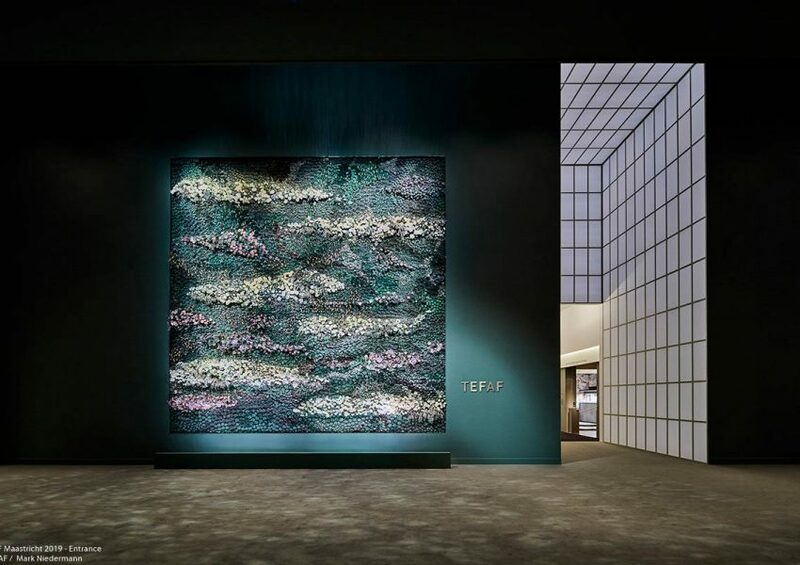 A notable update to the floor plan at TEFAF Maastricht is the integration of TEFAF Design and TEFAF Tribal – whilst still distinct sections, stands from each section have been mixed together to provide visitors with the opportunity to make exciting and dynamic connections. Laffanour – Galerie Downtown (Stand 612), part of TEFAF Design, is displaying a magnificent work by Jose Zanine Caldas (1919 – 2001), a self-taught designer. His sculpural entrance door meticulously crafted out of tropical wood, c.1970. Claes Gallery (Stand 601) in TEFAF Tribal is showing an extraordinary work crafted from wood, this time in the form of a Songye Kifwebe Mask, from the late 19th- to early 20th- century. This work comes from a private Belgian collection and originally came from the Democratic Republic of Congo. 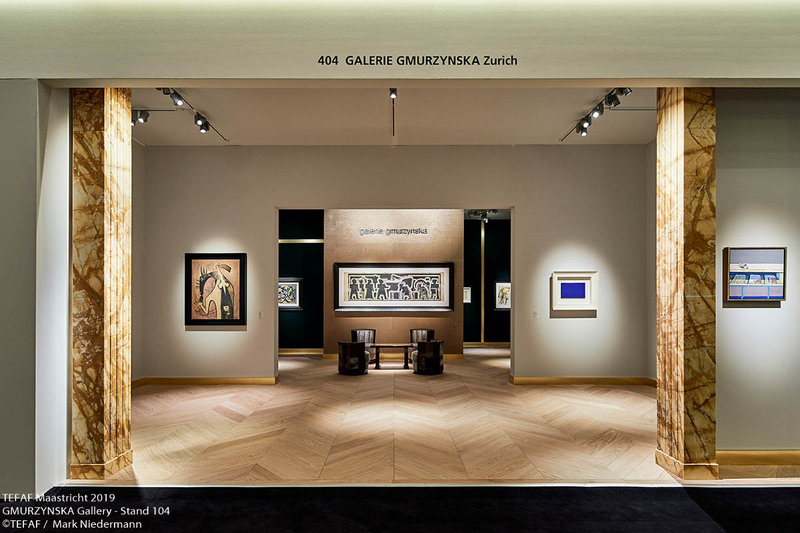 Having taken part in TEFAF Showcase in 2018, Kallos Gallery (Stand 436) is now exhibiting in TEFAF Ancient Art, becoming one of a number of Showcase dealers that have graduated to the main Fair. The gallery is bringing an extraordinary, complete Greek bronze panoply of a cavalry man. The suit of armour would have belonged to an Italiote warrior of the Classical period (c.4th century BCE) and is one of the most complete to appear on the market for several decades. TEFAF Maastricht welcomes six exhibitors to TEFAF Showcase in 2019 – Galerie Lowet de Wotrenge (S1), Art Ancient (S2), Mathieu Néouze (S3), Martin Doustar (S4), Santa Tecla Srl (S5) and Galerie Samantha Sellem (S6). The section is a rich source of young or recently established galleries and annually provides a dynamic section within Fair. 2019 is no exception with exhibitor Martin Doustar (S4) transforming his stand to create a small temple, within which a selection of objects from different civilisations around the world are being displayed. TEFAF Works on Paper sees some of the most exciting studies and sketches, as well as finished works on paper to come to market. Stephen Ongpin Fine Art (Stand 724) is presenting a very late and highly finished pen, black ink and white chalk work on light Brown card by Pablo Picasso (1881 – 1973) entitled The Artist and his Model (Le peintre et son modèle). A powerful preparatory study for Winston Churchill’s right hand by Graham Sutherland (1903 – 1980) for his celebrated portrait commissioned by The House of Parliament in 1954 will be on offer at Christopher Kingzett (Stand 701) for £12,000. Churchill famously remarked at the ceremony in Westminster Hall that “…the portrait is a remarkable example of modern art. It certainly combines force and candour…”. In private he was considerably less complimentary and his displeasure led to the portrait being destroyed by his family shortly afterwards.